Throwback style, collegiate baseball hat for many of your college favorites. Classic good looks; featuring finely crafted, embroidered lettering - framed by the iconic bars. Vintage style in a sharp looking new hat. 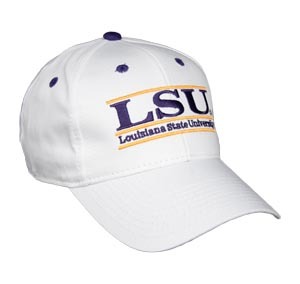 Click here>> for additional universities and more hat styles.